McKee's 37 Rinse Free Wash & Wax 4 oz. We have been under drought conditions in the South East since September 2016. There have been water restrictions, so I started researching rinse free products. I decided to give McKee's 37 Rinse Free Wash and Wax a try. Ordered from Auto Geek and was pleased with their fast, prompt delivery to Alabama. 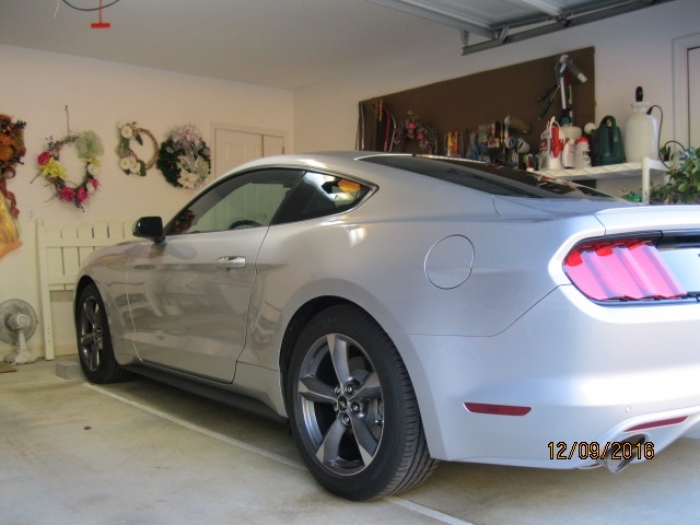 We got a break from the drought this week when a front moved through bringing both rain and cold weather, My Mustang had not been washed in over a month so I decided to give this product a try. The car in my garage as it was 40 degrees outside with a cold NW wind blowing. I was somewhat skeptical of this type of product, but was greatly surprised when I saw the results that I got. The paint was clean and felt and looked like the car had just been waxed. The surface was clean, slick to the touch and was shiny. Best of all the glass was clean with none of the water spots or streaks that I can never prevent or get rid of using the bucket and hose method. 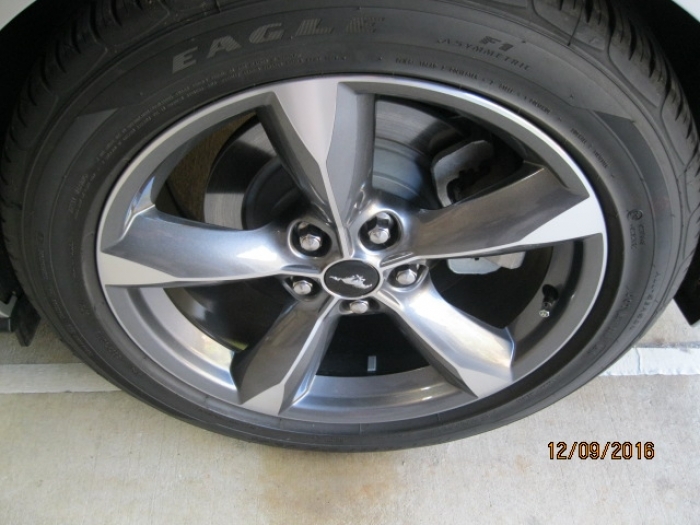 I was able to clean both the wheel face and interior of the alloy wheels leaving them clean and shiny. 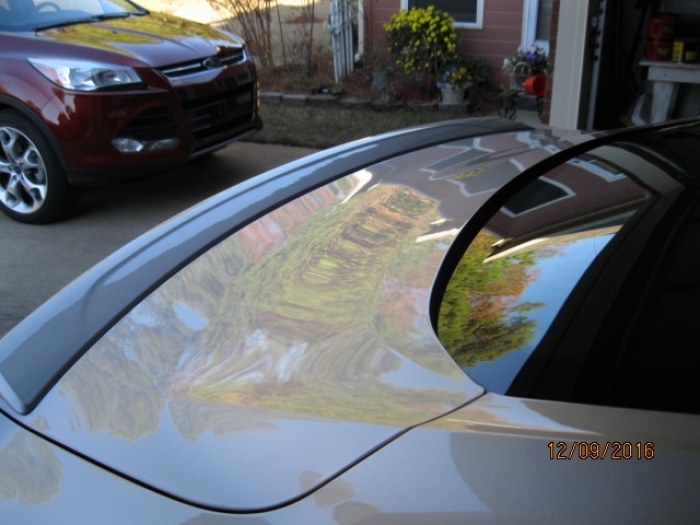 The black textured moldings on the car were clean with a deep black shine. I was amazed at the appearance of the car using this product. 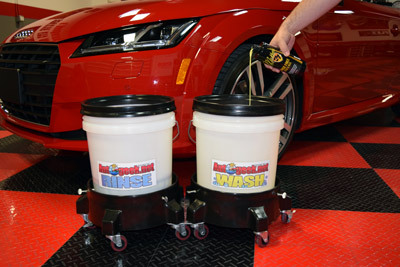 I was greatly satisfied with the way the car turned out using this product. ConsIt takes about two hours to wash a mid sized car, almost twice as long as the hose and bucket method - but the results are worth the extra time. 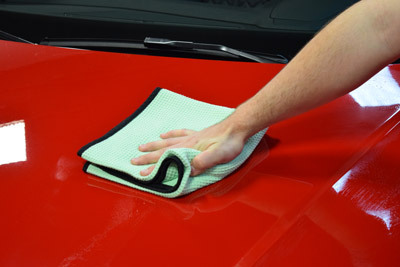 wash your car in less than 10 minutes and it will look just waxed. This is the first time reviewing a product. I have used a lot of different products and this really works. It was sort of weird how it seamed to draw out the dirt in the paint. The car (white subaru outback) was a little dirty/dusty, but when I sprayed it, it seemed to pull up the dirt. It was weirdly awesome! ProsNo Streaking. Pulls up the dirt. Leaves nice shine. 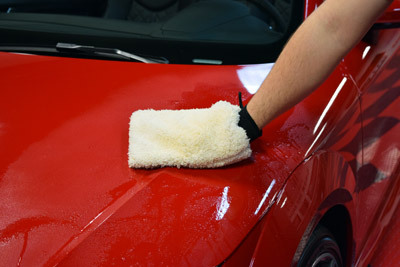 ConsMay make you obsessively want to clean you car over and over. Good product. Need 32oz size. Good product. I had been using the DP products. I'm assuming these are the replacements. I would like a 32 oz size of concentrate. This product keeps my Black Ram RT Glowing!